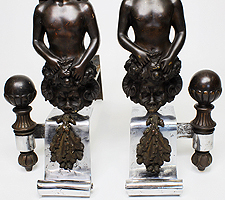 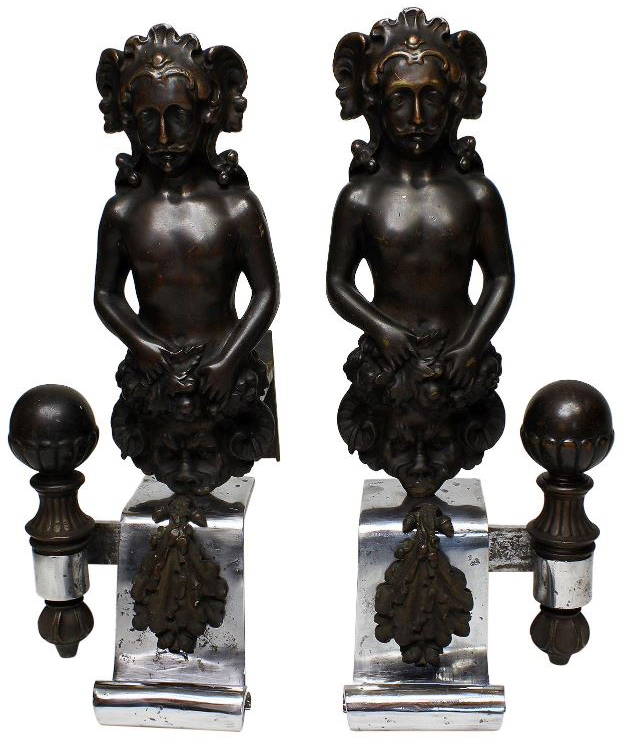 A Pair of French 19th Century Baroque Revival Style Steel and Patinated Bronze Figural Chenets (Andirons). 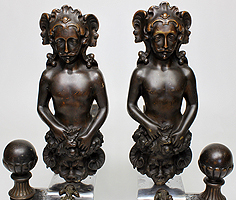 Each with a posing male figure holding a satyr shield next to decorative a sphere, both with wrought iron log-supports. Circa: 1890-1900.